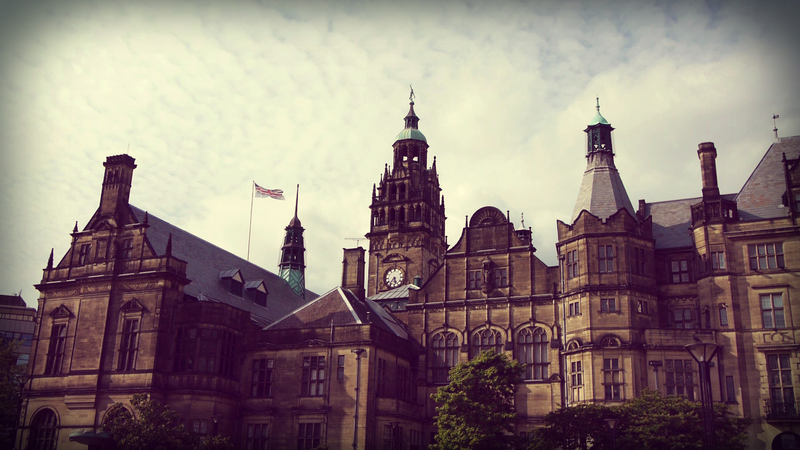 Last month we headed to Sheffield on a job for the Heritage Lottery Fund. Sheffield is the home of modern football and, as part of a Sharing Heritage funded programme, some young people from several local schools had come together to research the rich history of football in Sheffield. 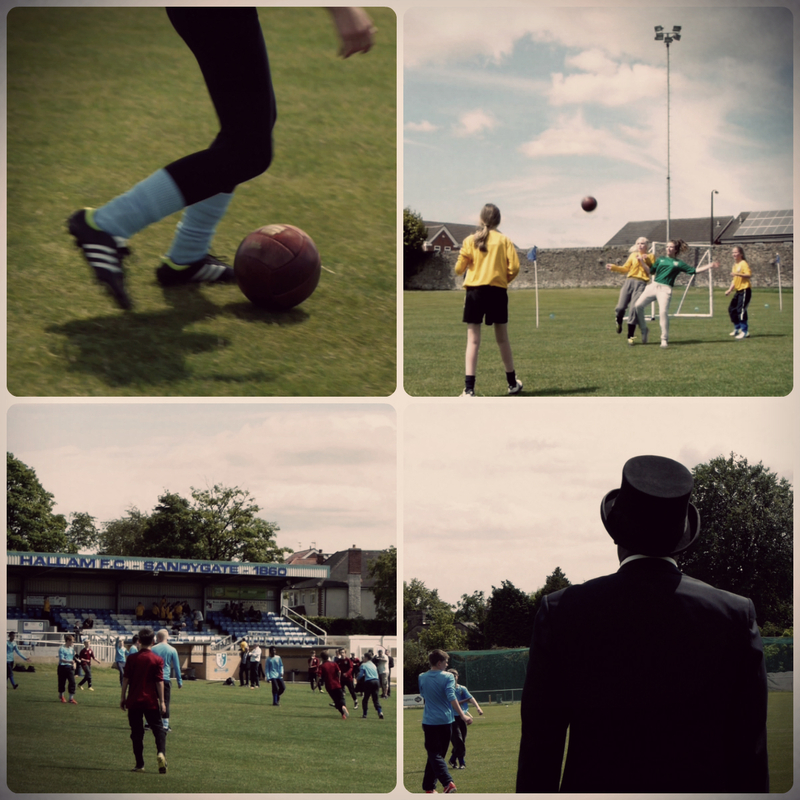 Their project was culminating the day we arrived with some football games being played by the 1858 Sheffield rules at Hallam Football Club‘s Sandygate grounds, the world’s oldest football ground. Among the project leaders and young people involved we spoke to historian Michael Wood, Cynthia Wainwright from HLF and the day’s referee and president of Hallam FC Uriah Rennie who told us about the different 1858 rules – such as there being no goal keeper and the players being able to catch the ball – and the value and nature of Sharing Heritage funded projects that are available to any not-for-profit organisation interested in exploring their local Heritage. The games were really interesting and seeing the players pick up and kick the ball made for a fun and exciting experience for everyone. The young people were really getting into the spirit of it with even some of the girls wearing drawn on moustaches and flat caps. With enthusiasm and beautiful weather the scene was set for a wonderful day. The only problem was that after leaving my cap on the train I got fairly badly sunburnt. Not what I had anticipated from Sheffield. 1. Kick off from middle must be a place kick. 2. Kick out must not be from more than 25 yards out of goal. 3. Fair Catch is a catch from any player, provided the Ball has not touched the ground, or has not been thrown direct from touch, and entitles to a free kick. 4. Charging is fair in case of a place kick (with the exception of a kick off) as soon as the player offers to kick, but he may always draw back, unless he has actually touched the Ball with his foot. 5. Pushing with the hands is allowed, but no hacking or tripping up is fair under any circumstances whatsoever. 6. No player may be held or pulled over. 7. It is not lawful to take the Ball off the ground (except in touch) for any purpose whatever. 8. The Ball may be pushed or hit with the hand, but holding the Ball (except in the case of a fair kick) is altogether disallowed. 9. A goal must be kicked, but not from touch, nor by a free kick from a catch. 10. A Ball in touch is dead, consequently the side that touches it down must bring it to the edge of touch, and throw it straight out at least six yards from touch. 11. That each player must provide himself with a red and dark blue flannel cap. One colour to be worn by each side during play. – Sheffield FC (1857) – the world’s oldest club. 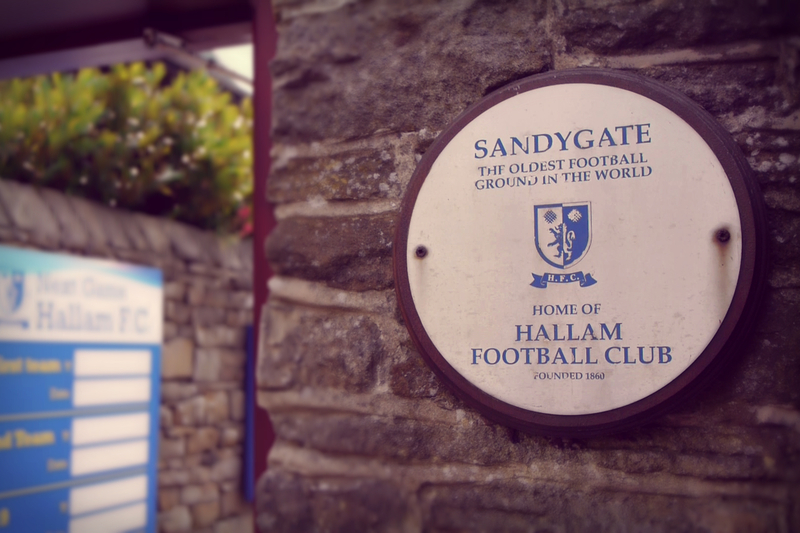 – Hallam F.C (1860) – the world’s second oldest club and oldest football ground. – The Sheffield Rules (1858) had a major influence on the modern game of football, stating that the ball should not be carried by hand, leading to the divergence of football and rugby. – Bramall Lane – oldest major football ground with the first game played in 1862. – Recommended a crossbar to the FA (1863). – Oldest football trophy – Youdan Cup (1867). – No players other than a goalkeeper could catch the ball (1871). – The first game under electric-light at Bramall Lane in 1878. – First insurance scheme for footballers (1860s). – First radio broadcast of a soccer game (1927): Arsenal v Sheffield United which used a grid to describe the ball’s position on the field thus leading to the expression ‘back to square one’.